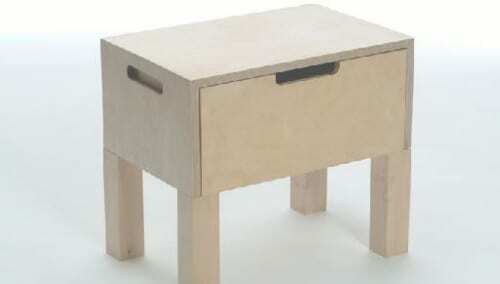 Here is a great space saving table created by French designer, Adrien Guerin. Called Olit, this piece of furniture combines several unique elements into one tidy package. First is perfect size for a nightstand or accent table. Secondly, it has a storage compartment which is great to keep a home from becoming cluttered. Third, the table top comes out to become a serving tray or laptop table. If you are like me, you often have a laptop in hand so this table is perfect for those of us that are always “wired in”.